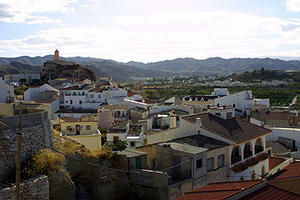 A small but very pretty and popular town with a strong agricultural economy. Surrounded by citrus orchards and olive groves the surrounding scenery provides year-round pleasure. Its bustling Saturday market attract visitors from miles around who flock in to sample the great local produce whilst catching up with friends over a cerveza or two.